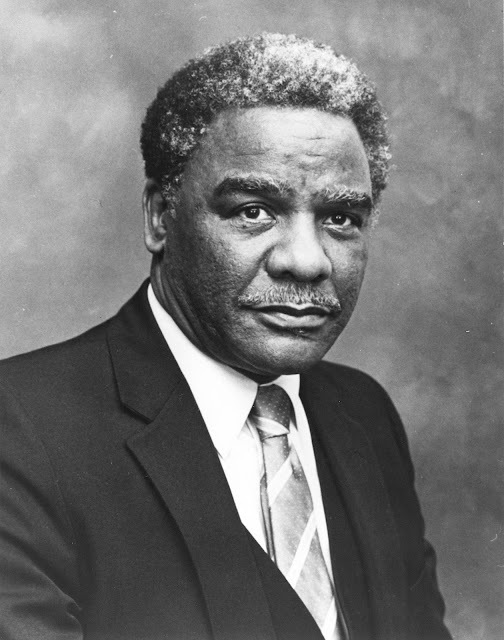 The Digital Research Library of Illinois History Journal™: Harold Lee Washington served in the Illinois Legislature as a Representative, 1965-1977; as a Senator, 1977-1981 and served in U.S. Congress, 1981-1983. 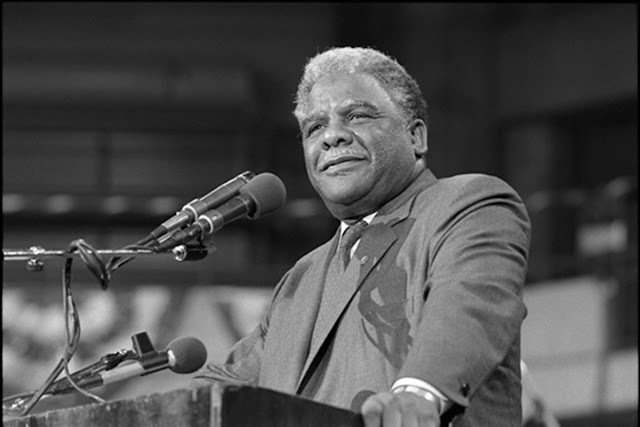 Elected Chicago’s first Black mayor in 1983; re-elected in 1987 but died while in office on November 25, 1987. Harold Lee Washington served in the Illinois Legislature as a Representative, 1965-1977; as a Senator, 1977-1981 and served in U.S. Congress, 1981-1983. 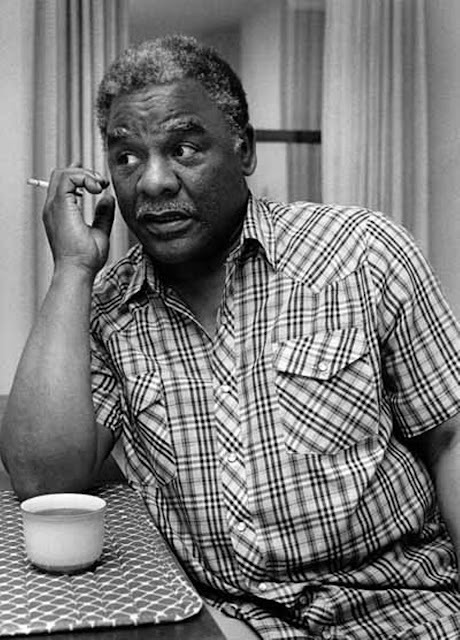 Elected Chicago’s first Black mayor in 1983; re-elected in 1987 but died while in office on November 25, 1987. Harold Lee Washington was born on April 15, 1922 in Chicago. He grew up in the city spending his career trying to better Chicago. His father was a police officer and a lawyer and his mother was a singer. Washington attended Chicago public schools. He attended DuSable High School from 1936 to 1939, but he left high school before earning his diploma. In 1942 he went into the military to serve during World War II. He served in the 1887th Engineer Aviation Battalion, rising to rank of first sergeant. The 1887th received the Meritorious Service Unit Award for building a bomber landing strip on the Pacific Island of Angaur in only 20 days. Washington received the American Campaign Medal, among other honors. He was honorably discharged in 1946. After the war, Washington received a G.E.D. diploma in 1946, awarded after military service, then headed off to college. He earned a bachelor's degree from Roosevelt University in 1949. Continuing his studies, Washington enrolled in law school at Northwestern University. He was the only black man in his class and completed his law degree in 1952 and was admitted to the Illinois bar in 1953 and commenced practice in Chicago. Washington was the assistant city prosecutor of Chicago from 1954 to 1958, then served as an arbitrator for the Illinois Industrial Commission from 1960 to 1964. In 1965, Washington won election to the Illinois House of Representatives. He served the city's 26th District for roughly a decade, supporting legislation to advance equality. Washington also sought to make the birthday of slain civil rights leader Martin Luther King Jr. a statement holiday. During his time in the legislature, Washington ran into one serious legal problem. He was convicted of tax evasion for not filling tax returns for several years. For his crime, Washington spent 36 days in jail in 1972. He became a state senator in 1977. Three years later, Washington moved on to national politics. He won a seat in the U.S. House of Representatives serving from 1981 to 1983. Washington faced a difficult battle in his effort to become mayor. While he clinched the Democratic nomination away from incumbent mayor Jane Byrne, he had to deal with some questionable campaign tactics by his Republican opponent Bernard Epton. Epton used a slogan—"Before It's Too Late"—that many read to be a call for voters to prevent the first black American from getting the city's top job. Other racially oriented attacks were also orchestrated by Epton's supporters. 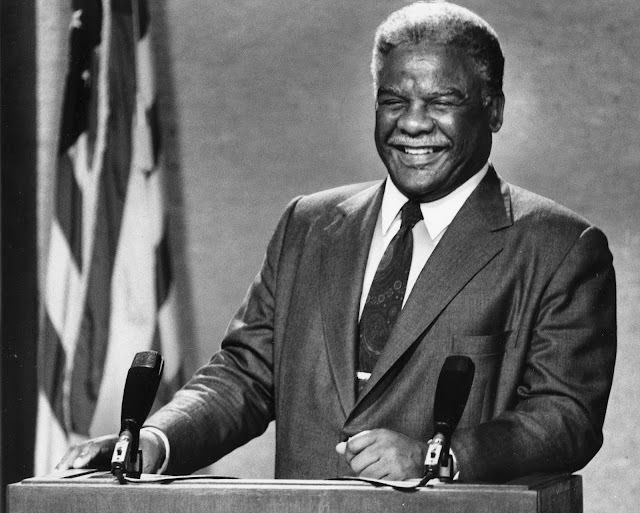 On April 12, 1983, Washington made history when he won more than 50 percent of the vote to become Chicago's new mayor. The struggle wasn't over once he won the post, however. In what is now known as the "council wars," Washington had wrangled with a block of city alderman who seemed to oppose him at nearly every turn. Still he managed to increase the number of contracts awarded to minority-owned businesses and made city government more transparent to the public. Washington, known as being a man of the people, invited his constituents to voice their opinions regarding the city's budget. In 1987, Washington won re-election. This time around he had a sizable block of alderman behind him to help him advance his plans for the city. Unfortunately, Washington died of a heart attack not long into his second term. He collapsed at his desk in City Hall on November 25, 1987, and was declared dead at a nearby hospital that afternoon. 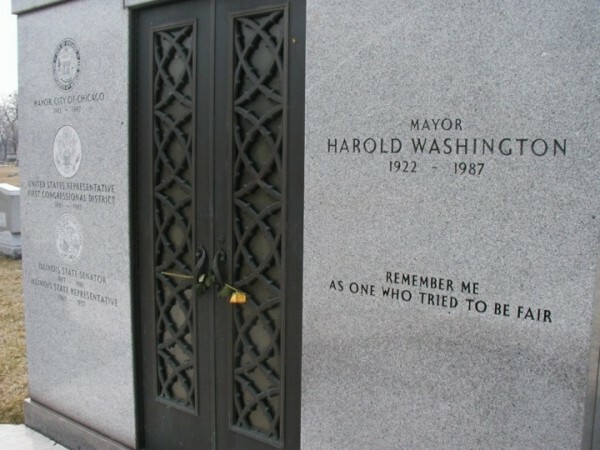 Harold Lee Washington is buried in Oak Woods Cemetery at 1035 E. 67th St., Chicago. 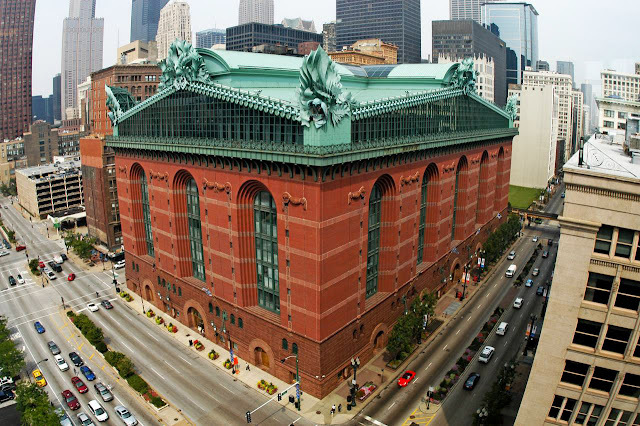 The Harold Washington Library Center. Washington's beloved city honored him in many ways after his passing, including renaming Loop College after him. 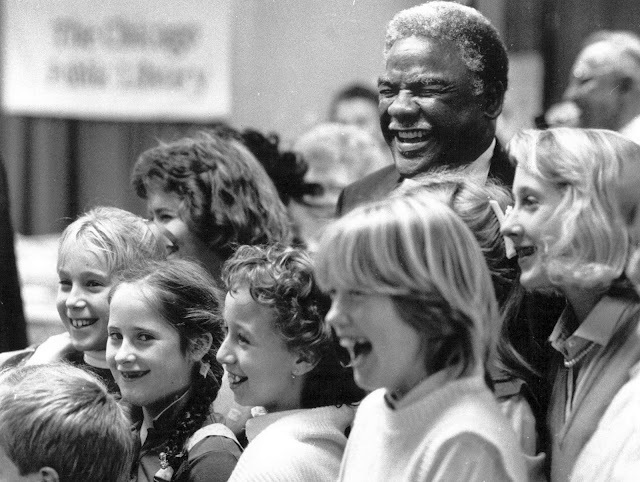 The Harold Washington Library Center is another place that bears his name. He was a good mayor. A Brief History of Southern Illinois. The Biography of the Honorable Jesse White.